There are many different types of equipment needed to run a business; some require pieces of specialized equipment like restaurant-grade stoves, while others use more common equipment like HVAC units. Unfortunately, keeping these devices in prime working condition can be both challenging and extremely costly. The best way to combat this is with preventive maintenance. Preventive maintenance is maintenance that is regularly performed on equipment to lessen the likelihood of its failing. Ideally, periodic maintenance while the equipment is still functional ensures that it doesn’t break down unexpectedly. Let’s take a look at a checklist of what to consider when implementing a preventive maintenance plan. The first checklist item is to ensure everyone understands how your business defines preventive maintenance and what the expectations are. If your company’s strategy focuses more on cleaning than balancing and alignment, ensure that is universally understood. A common definition of preventive maintenance fosters productive communication, lessens confusion, and keeps everyone on the same page. Before defining preventive maintenance goals, you need to take stock of your business’ equipment and equipment operations. Note how much downtime there typically is when a machine fails, calculate how much your business spends per year on parts, and indicate average contractor response time and performance. Once you have this data, you can determine the average cost per one hour of machine downtime, giving you your starting point before implementing a preventive maintenance plan. Is your focus on saving money? Reducing the chances of equipment failure? With defined goals, your business is able to choose a preventive maintenance plan that will address your needs and lead you to your objectives. In most industries, equipment needs to meet specified compliance standards. Ensure that all employees involved know these standards, where to look them up if need be, and what work needs to be done regularly to keep equipment compliant. Equipment standards awareness helps your business determine what work needs to be done and when to ensure optimal business function. An additional aspect to consider is work order monitoring and inspections. With maintenance management software, it’s possible to monitor maintenance work being performed in real time from any location. This allows managers to virtually stay on top of preventive work done across multiple business locations, saving time and money. When it comes to inspections, make sure you know when they will be performed and who will be performing them so you can plan your preventive maintenance accordingly. Working with experienced, certified contractors is essential to having your maintenance work done promptly and correctly. Therefore, it is important to have a system for finding the best possible contractors for your business. Another useful capability of maintenance management software is a comprehensive contractor directory. With this tool, businesses are able to find available contractors by trade and location, as well as see contractor qualifications and diversities. This reduces the time businesses spend searching for contractors. Once relationships between businesses and contractors have been established, it is possible for companies to automate preventive maintenance with trusted contractors, saving even more time. Staying on top of preventive maintenance can be challenging; businesses that have a lot of equipment and/or multiple locations need a way to log their equipment and keep track of the preventive work done. The solution is preventive maintenance management software. Using this technology, businesses can keep a record of equipment, its credentials, and its maintenance and repair history. This is helpful for businesses because they can see when equipment was last attended to, and it is also helpful for contractors because they get an up-to-date picture of the equipment’s life that can inform the work they need to perform. Maintenance management software also allows for the creation of automatically recurring work orders, relieving the need to schedule all preventive maintenance work manually. Within the software, preventive maintenance can be carefully planned to optimize work timing and minimize work cost. After implementing a preventive maintenance strategy, it is imperative that your business understands the ROI. In other words, is the preventive maintenance you’re performing worth it? To know this, compare your new machine downtime, spend on parts, and contractor response time and performance with what you calculated before implementation. An improvement, even of a few percent, can have enormous impacts on time and money spent on equipment repair over time. Preventive maintenance can help businesses across all industries. From retail to restaurants, any business that uses equipment can save time and money by performing preventive maintenance. It is not enough to simply perform maintenance, it needs to be managed and done well. If it is not, the consequences can be costly – poorly managed maintenance schedules can account for as much as 40 percent of a business’ operational budget. 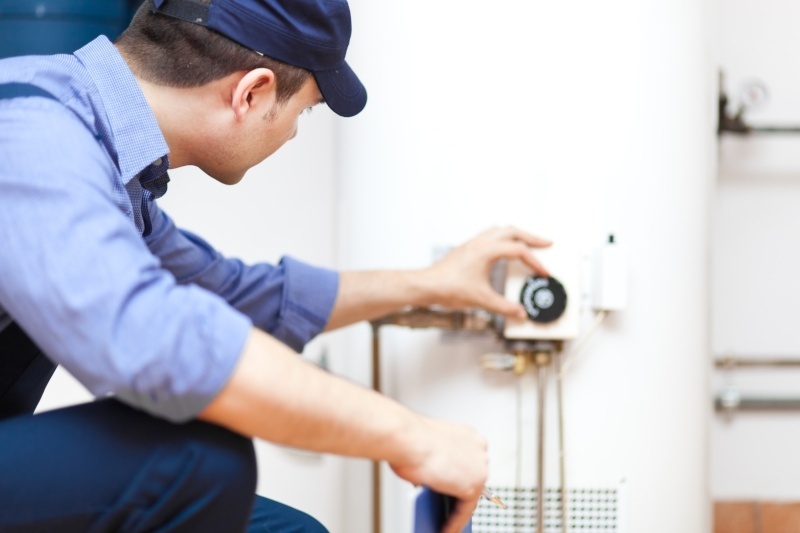 For time and money savings, make sure your preventive maintenance is done right. Learn more about integrating preventive maintenance into your facilities management operations.